Take a look around. What do you see? No matter where you are – at the office, the gym, or even on the street – chances are, you’re surrounded by people glued to their cell phones. Heck, you may have even had to pry your eyes from your own mobile device to take this quick visual survey. In fact, according to the Meeker 2018 Internet Trends Report, the average consumer spends 3.3 hours per day interacting with digital media on their mobile device. And there’s this: over half of all web traffic is mobile. If your brand has a website, mobile optimization has gone from “nice to have” a few years ago to “absolutely essential” in 2018. Indeed, having a responsive website is the name of the game these days. Beyond the well-established fact that, save for a few stubborn holdovers, everyone owns a smartphone, there are many reasons to optimize for mobile. First, mobile users actually buy more than those on desktops, so this isn’t a small slice of market share we’re referring to here. Second, since this is often the first impression a potential customer will have of your business, is the usability of your site something you want to leave to chance? Finally – and here’s the biggie – way back in 2015, Google announced that it would be utilizing mobile friendliness as a metric in its rankings (up until that point, if you were in good shape for desktop searches, the same was true for mobile searches… even if your site wasn’t necessarily up to snuff for mobility). Following a testing period, the tech giant began mobile-first indexing in March of this year. Factors such as design, page speed and overall structure come into play. Just to add another layer of complexity to the proceedings, “mobile friendly” and “mobile optimized” aren’t interchangeable terms. A mobile friendly site will resize and show correctly on a mobile device. However, some functionality may not remain intact. A mobile optimized site reformats for mobile devices. For example, navigation buttons may appear larger, content is made easier to read, headlines are shorter, and users are not forced to type non-essential information. The ideal, however, is that the content from your desktop site mirrors that on your mobile one. But bear in mind that mobile users usually utilize different search terms than desktop users. Pricing, menus, directions, general company information are just a few of the major keywords that users make heavier use of on mobile sites when compared to desktop sites. 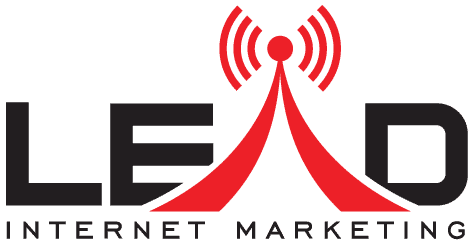 In short, there is no doubt that Mobile SEO is a must to keep pace in today’s online marketplace..
Lead Internet Marketing can assess your mobile strategy and create a mobile site that’s nimble, attractive, and usable. Contact us today to find out how our tailored approach can benefit your online presence!